Now you have a new Italian term to add to your repertoire: colpo di fulmine! 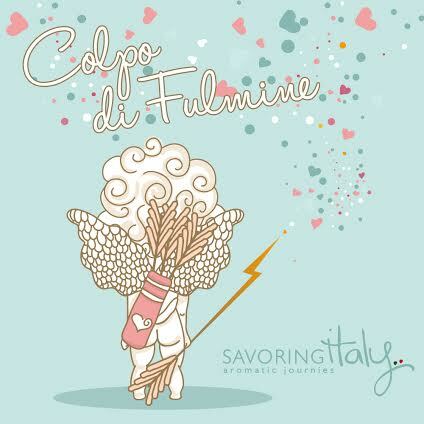 Have you every experienced a “colpo di fulmine”? Tell us about it in a comment! It's very real. It happened to me nearly two years ago (with an Italian-American woman no less). You will never be the same. The most amazing moment in my life, without a doubt. It is real! We had an instant attraction to each other even as kids. We just really liked each other from the moment we met. Many years later, our first kiss gave both of us such a jolt of electricity that it was like an electric shock. It is as if your soul recognizes or remembers the other person's soul. It has always been so. This is your destiny. You were meant to be with them, and nothing else matters.